If you’ve recently had an accident or experienced bodily trauma, you may have sustained an injury that requires treatment. As with any aspect of your personal health, personal injury treatment is your responsibility; you need to decide when and where to seek help, preferably sooner rather than later. With personal injuries, because the causes are endless and diverse, there’s no way to say that any one injury will produce the same symptoms or require the same treatments as another. However, personal injuries can often be healed using chiropractic care and massage therapy, two useful pain relief methods and injury treatments used at our office. We’ll help you determine the nature of your injury, form a better understanding of how you sustained your injury, and formulate a treatment plan geared toward injury treatment, not just pain relief and management. No matter how severe your pain or injury, we’re here to help ensure that you receive the treatment you need, checking your injury early for negative symptoms and potential complications and treating your injury head-on. We’ll give you a natural pain relief alternative to medications and a better way to heal that will help you get through your injury quicker and in less pain. By seeking treatment rather than waiting for your body to heal itself, you’ll also ensure that your personal injury heals correctly, allowing your body to function and move normally once again without any residual pains or injury side effects. All of this can be accomplished with a personalized chiropractic and massage therapy treatment plan, created by our natural doctors who specialize in natural pain relief and treatment options. Depending on the nature and extent of your personal injury, chiropractic care can be an invaluable injury treatment option. If you’re suffering from pain throughout your body, whether it be your upper or lower back, shoulders, neck, or extremities, it could be cause for concern and potentially easily treatable with chiropractic care. Often times when a patient sustains a personal injury, it’s caused by a traumatic accident of some kind, which means that your body has generally been moved, twisted, and thrown in ways that it’s not used to. If this is the case, you could easily have misaligned vertebrae in your neck and back that need to be adjusted if you’re going to relieve your pain. Chiropractic adjustments can help improve range of motion and circulation, reduce tension in muscles and nerves, and ensure that your body moves the way that it should – the way that you’re used to moving – without any lasting negative effects from your injury. Massage therapy is best known for its relaxing properties, but not everyone understands or knows the full extent of the benefits of massage therapy. While massage therapy is a great stress reliever, providing tension release and reducing pain, it’s capable of more than just giving you one relaxing hour at the end of a long day. With massage therapy, the possibilities for pain management, pain relief, and even injury treatment are endless. Massage therapy can relieve tension in your muscular and nervous systems and improve circulation, which means that it can be used not only to treat injury symptoms, it can be used to treat injuries themselves. By seeking early personal injury treatment options, you can set yourself on the path to a speedy recovery, ensuring that your body is relaxed enough to heal properly. Personal injuries can happen at any time, but there are injuries that are more common, especially at specific times of that year, than others. If you’ve suffered from a personal injury and haven’t realized yet what might be causing your pain, make a note of some common personal injuries, and see if you can figure out whether your pain is caused by a personal injury that you may have forgotten about. Personal injuries could include sports injuries, slipping or falling, auto accidents, DIY project accidents, product defect accidents, holiday-related accidents (please keep off the ladders this year), biking accidents, heavy lifting accidents, dancing injuries, and improper exercise. Chiropractic care has only recently been recognized as a reliable injury treatment, but now that it’s recognized and recommended within the medical field for injury treatment, chiropractic care is an insurance-approved treatment method. That means that there’s no reason to wait to seek treatment, as you won’t have to pay for your treatment out of pocket. 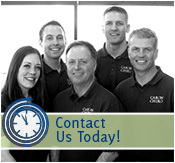 If you’ve sustained a personal injury and need a reliable treatment method, look to Caron Chiropractic’s chiropractic care services, including massage therapy, for an affordable and effective personal injury treatment solution. Call our St. Paul chiropractic office today at 651-255-9999, and look forward to receiving chiropractic care and massage therapy personal injury treatments that will leave you feeling like your injury never happened.